Why join the fight? Watch this short video for 14 great reasons. Join these courageous partners by supporting SAFE and fueling the fight against sexual exploitation in our communities. All donations are tax-deductible and will be used to directly fund organizations and innovative efforts that will reduce commercial sexual exploitation in our state. All SAFE Partners will receive quarterly updates on how funds are being used and what progress has been made. Although we hope to have some early wins, we know this is going to be a long-term fight. So we hope you’ll stand with us now, and well into the future, until our daughters, sisters, granddaughters and friends are no longer being sexually exploited. The button below will take you to a secure giving portal at the National Christian Foundation (NCF). NCF has partnered with SAFE by creating a Donor Advised Fund for us through which we can receive donations. 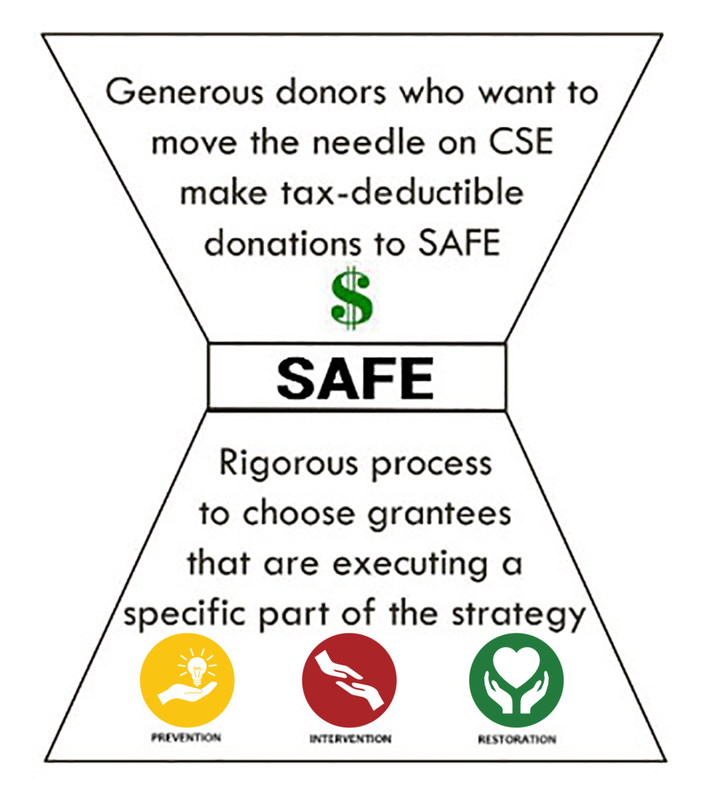 It allows SAFE to stay administratively lean while honoring our donors by allowing them to make tax deductible donations.